In most of the homes clogging in toilet bowl happen at very unwanted times. At that time, you just wish to unclog that toilet bowl instantly so you can save your money and time both. Thankfully there are some simple tips that can help you unclog your toilet bowl without using any fancy equipment or without giving a lot of time for same. For your reference and help, I am sharing those options below with you and you can choose options that suit best for you. 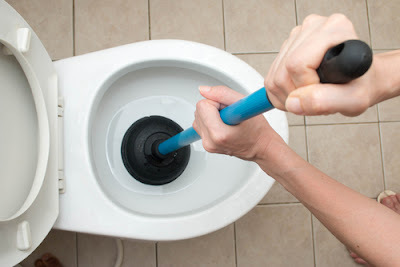 Use plunger: To unclog your toilet, it is very important that you avoid the overflowing of your toilet. 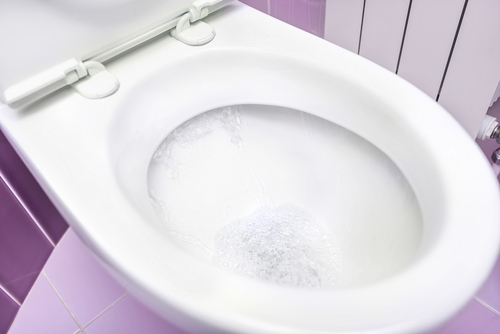 If water is not going down the drain after one flush, then the second flush won’t do any good for you. Opposite to this, it will just increase the problems for you due to overflowing. 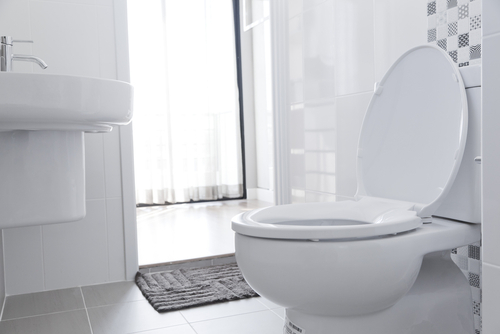 Once you get control on the water issue, take a high-quality plunger that makes tight seal with your toilet. This is very important because, without a tight seal, you won’t be able to make any good result. After that, you need to insert the plunger into the toilet bowl and you shall try plunging it into a vertical motion. If it is done, you would feel that relief and then you can try to flush your toilet. If water goes away instantly, then you can stop worrying about it. If not then you may need to repeat the plunging process several times before you finally get rid of it. You should try this first before trying any other option. This method does not require any kind of chemicals so it is completely safe for you. Also, you can do that instantly, if you are getting late, then it can help you finish the work in less time and you can go to your work as well. Use enzyme products: There are several enzyme waste removal products available in the market. You can easily buy this kind of product from your nearest home improvement store. This would be a good option for you because enzyme waste removal products are safe for your family and your surrounding as well. You don’t have to worry about the side effects or negative results for that. The only limitation for this option is that it will work only for organic waste removal and if you have blockage due to any nonorganic substance such as toys or plastic material, then you should use some other option for that. To unclog your toilet bowl using this kind of material, you normally need to pour the liquid into your toilet and you need to wait for overnight. Once that waiting period is over, it should unclog your toilet and you should be able to use it again. That makes it one of the simplest process for same, but it is not fast enough. So, if you are in a hurry, then you may not like this particular method for removal of the clog from the toilet. Try homemade drain cleaner: This is another solution that you can try to unclog your toilet bowl. For this solution, you need to have at least 2 to 3 litre hot (not boiling) water. Any less would not do the trick because you need to flush the same with force. Other than this you would also need =1 cup baking soda and 2 cup vinegar. In this method first, you need to pour the soda and vinegar into it. After that, you need to pour the hot water into it. Make sure you do it carefully else you might burn yourself. After pouring the water and other two things, you need to wait for overnight. If you have any kind of organic clogging, then this mixture should clear it without any trouble. If you feel your toilet is still clogged then you need to try some other options such as wire coat hanger or drain snake because. I am suggesting this because in this situation you may have some non-organic substance like a toy or plastic material that is causing this trouble. For removal of those substances, you only need to use mechanical options for a better result. Try the drain snake method: In market, you can easily find some good quality drain snake that would help you unclog your toilet bowl easily. This would be a snake like structure that is made of spring like material and it can bend easily. Also, it may have a hook or similar structure at an end. The main goal of this action is that you should break the seal that is causing the clogging. It may take few minutes to several hours before you get the result. So, you need to have patience and you need to do it properly. If you have no proper time for this or if you run out of patience in less time then this might not be a good method for you. When you feel it is done, then you should try flushing the toilet several times before finalizing the work. If you don’t get any more complication or problem, then you can go ahead and use it else you need to work on it again. In case, none of the above given solutions give any good result to you, then you shall not try any other methods for same. Instead of that, you should make a call to a plumber and you should leave the work to his hands. A plumber will check all the things that are necessary and he will take right actions to finish the work. In some cases, he may need to use special tools or equipment’s also. So, if above solutions are not giving any good results to you, then taking the plumbers help would be the easiest and the best method for same. And when you would try this method, then you would get the best results also for same without any complications.